The Point - SMOOK Architecture & Urban Design, Inc. 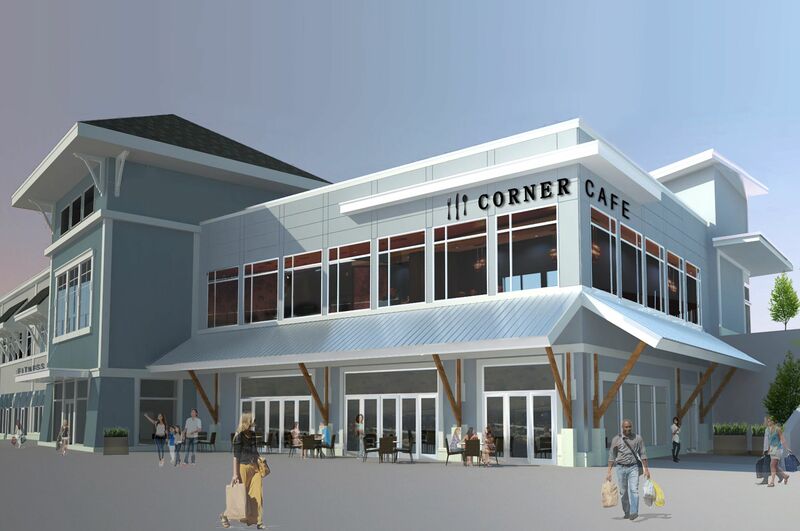 Located in Littleton off Interstate 495, the site is a mixed-use development includes retail, restaurants, and entertainment uses offering a unique shopping venue in MetroWest Boston. SMOOK Architecture was the Master Architect for the project developing the Master Plan and the overall architectural style for all buildings on-site. The site naturally has a dramatic grade difference of a 100 ft slope. To resolve the topographical challenge, the site features a configuration of three distinct clusters of buildings and parking areas. Several buildings feature a two-story structure for retail and dining uses to mitigate the grade difference. The overall architectural design is a mixture of traditional New England character featured in the tiered sections and contemporary style showcased along the perimeter of the site. Additionally SMOOK was the architect for a 50,000 SF mixed-use building in Phase II.